SolarEdge’s HD-Wave inverter integrated EV charger offers users the ability to charge electric vehicles up to 6X faster than a standard Level 1 charger. This charger offers an innovative Solar Boost Mode that utilizes grid and PV charging simultaneously. 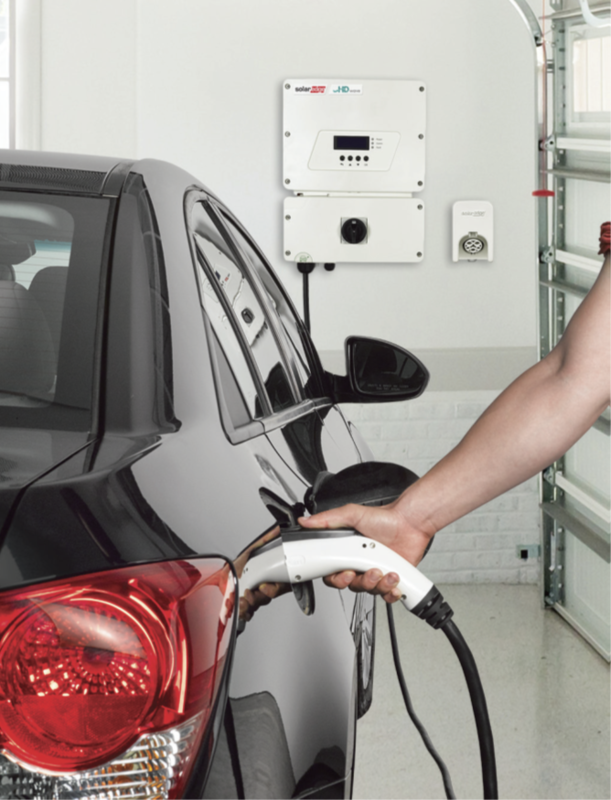 By installing the SolarEdge HD-Wave inverter-integrated EV charger, users benefit from the reduced hassle of installing a separate standalone EV charger and a PV inverter. Furthermore, the need for additional wiring, conduit and a breaker installation is eliminated. An additional dedicated circuit breaker is not needed, saving space and eliminating a potential main distribution panel upgrade.